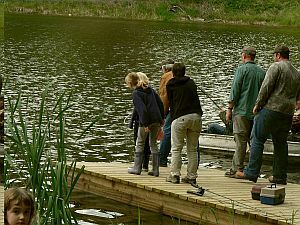 The Creston Valley Rod & Gun Club owns the 37.8 Acres which hold Mawson Lake at the U.S. Border south of Creston. The lake is an important wetland area developed by the Club in cooperation with Ducks Unlimited. There are bass and the occasional rainbow trout in the lake. Catch and release fishing is encouraged. There are fishing docks located around the lake, use of gas motor boats is prohibited. Mawson Lake is private property for the use of our members. Youth and community groups are welcome to use the site if they reserve it in advance. 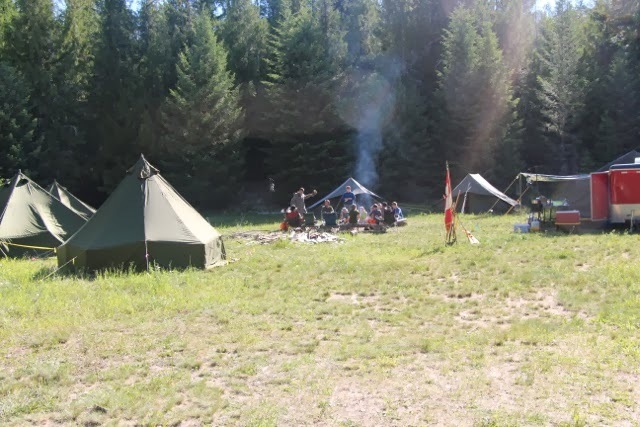 The campsite has been used by Army Cadets, Air Cadets and Scouts. Search and Rescue has also used the area for training. 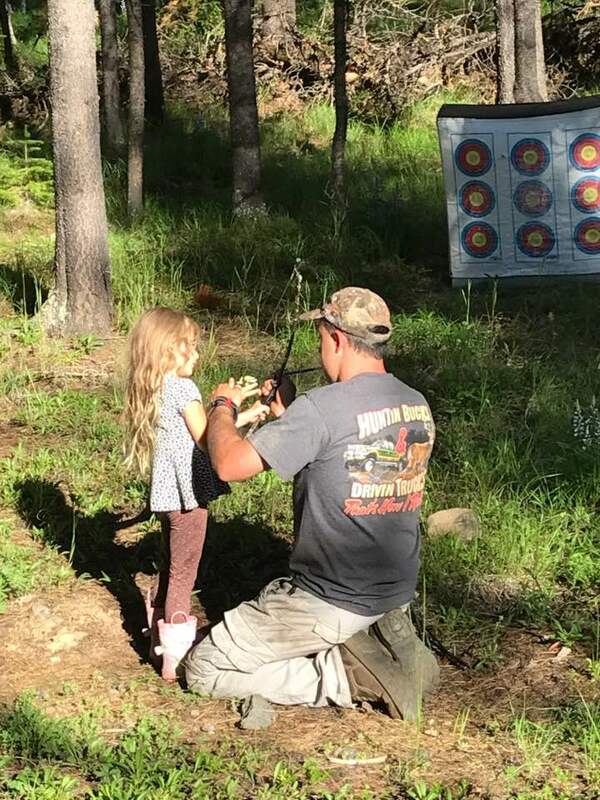 Mawson Lake has an active archery range to sight in your bows and practice your 3D shots too. FAMILY FISHING DAY: in 2011 the Club started what has become an annual event: a barbecue and informal youth fishing derby for members on the Free Fishing Weekend in June. Use your range combo to open the gate. The use of this area is dedicated for the use of families and youth. 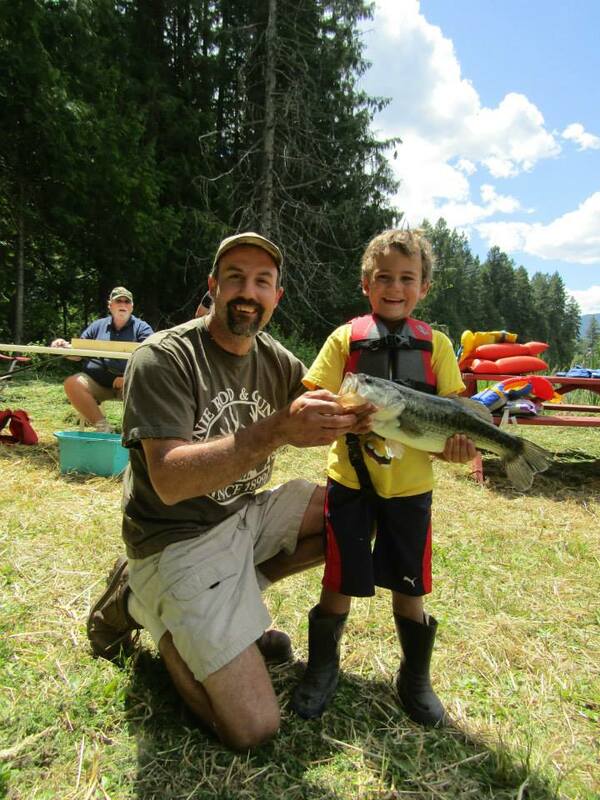 Despite what appears in the Fishing Regulations, the Club hopes that adult members will practice catch & release, and that youth will retain only one or two. USER MAINTAINED SITE. Please pack out your garbage and leave the site better than you found it. Please report any problems to 428-4355 or 250-431-8436. Join the Rod & Gun Club and support all our rights to enjoy outdoor sports. You can then enjoy the use of Kidd Creek Rifle Range and Mawson Lake.